Asian shares rose on Tuesday after modest gains on Wall Street, while robust metals prices underpinned some regional markets even as investors remained wary ahead of the annual central banking conference in Jackson Hole later this week. MSCI's broadest index of Asia-Pacific shares outside Japan .MIAPJ0000PUS extended early gains and rose 0.7 percent. The Shanghai Composite Index .SSEC advanced 0.2 percent while the blue-chip CSI300 index .CSI300 was up 0.4 percent. The MSCI Asia ex-Japan materials index .MIAX0MT00PUS was 1.1 percent higher, buoyed by spot price gains. Zinc CMZN3 edged down a day after hitting its highest since October 2007, while copper CMCU3 inched back toward its highest peak since November 2014 scaled on Monday. Nickel CMNI3, used in stainless steel, crept slightly higher to log a fresh high for the year. "Commodity prices are holding firm, particularly base metals," and this has underpinned commodity-related currencies such as the Australian dollar, said Sue Trinh, head of Asia FX strategy at RBC Capital Markets in Hong Kong. Nonetheless, Trinh cautioned that commodities have mostly firmed "on speculative Chinese investment flow from the wealth management industry, so we question the real demand." South Korean shares .KS11 added 0.4 percent, despite lingering worries about tensions on the Korean peninsula. The country's forces began computer-simulated military exercises with the United States on Monday, which Pyongyang has denounced as a "reckless" step toward a nuclear war. 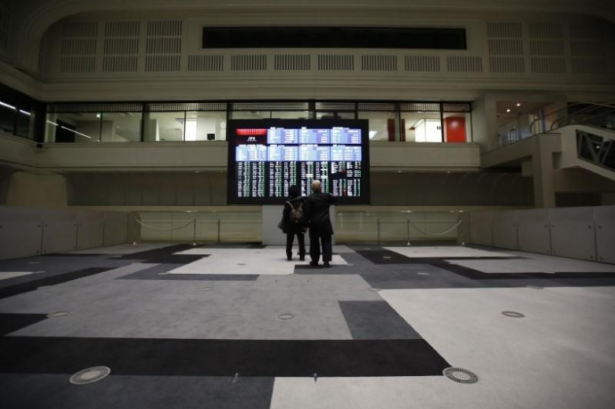 Japan's Nikkei stock index .N225 erased early losses and rose 0.1 percent, while Australian shares added 0.3 percent. The dollar was modestly higher, with the dollar index, which tracks the greenback against a basket of six major rivals, up 0.1 percent to 93.170 .DXY. The euro edged down 0.1 percent to $1.1807 EUR=, while the dollar steadied against its Japanese counterpart after slumping overnight, up 0.3 percent at 119.26 JPY=. The dollar has recently faced selling pressure from tepid U.S. inflation data which have fed into expectations the Federal Reserve will adopt a patient approach to further monetary tightening. Political turmoil in Washington has further hampered the greenback as investors have begun to doubt President Donald Trump's ability to implementing much of his aggressive stimulus and tax reform measures. "The dollar was the loser against all of its pairs and I think that's broadly reflective of fading expectations of what the Fed might do," said Bill Northey, chief investment officer at U.S. Bank Private Client Group in Helena, Montana. "Fed fund futures are showing well below even odds at this point for a move between now and the year-end," he said. Expectations of what might emerge from the Fed's annual conference in Jackson Hole, Wyoming are also "relatively tempered," Northey said. Fed Chair Janet Yellen is scheduled to speak at the conference, but central bank observers do not expect her to give new guidance on policy. European Central Bank President Mario Draghi will not deliver any new policy message at Jackson Hole, two sources familiar with the situation said. Brent crude futures LCOc1 added 17 cents to $51.83 per barrel, while U.S. crude CLc1 rose 16 cents to $47.53.